Four riders on motorcycle weave though Cairo traffic. 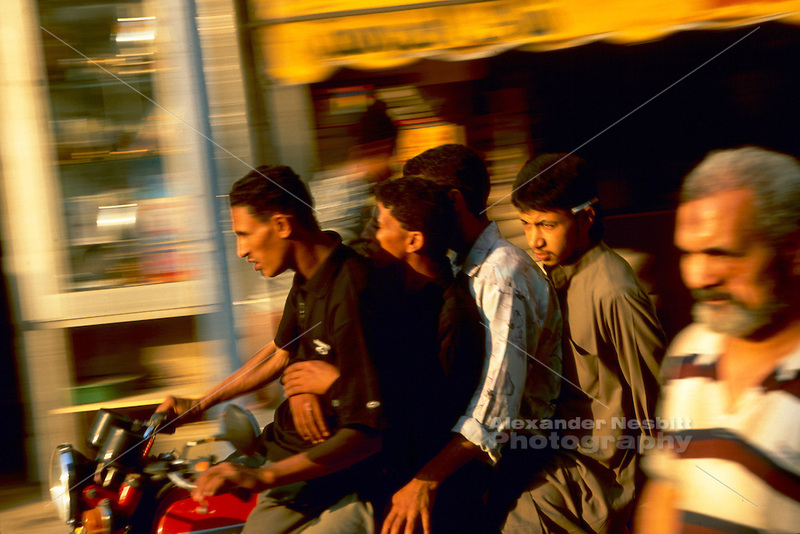 Egypt, 2000 - Four riders on motorcycle weave though Cairo traffic. Camera has panned to catch moving motorcycle in focus while background is blurred.